Looking for a specific topic on the Screen Time Limit Kid Crono app? If you have already checked our video tutorial and still have questions, check these frequently asked questions on the app. If you can’t find your response, please contact us. Why do I receive code recovery emails if I never entered an invalid PIN? You might never have entered any invalid PIN, but your kid is surely trying to guess it. At the fifth failed attempt, the app will be blocked and you will receive an email. Can I grant or remove rewards directly? Yes, you can grant or remove rewards yourself when the timer is stopped. Simply click on the avatar name or coins to get to the reward menu. Why my kid doesn’t win rewards or lose them? 1. If your kid keeps playing after seeing the notifications to stop using the device he/she will not get any reward. 2. Also, there will be no reward if you take the device back and stop the timer before the notifications show up. When you let your child to click on the Stop button he/she learns about self-regulation and decision-making. 3. To get the rewards, the kid has about one minute to stop the timer from one of the initial notifications (by default 4 notifications will be shown in this interval). If the child doesn’t do it, he/she will actually lose the last reward won. Kids need time. This simple process gives your child a sense of self-control rather than imposing him/her to immediately terminate the gaming session. Explain your kid that he/she will always win rewards when clicking on the Stop button of the first notifications. Kid Crono will get opened and the kid will see the reward animation. 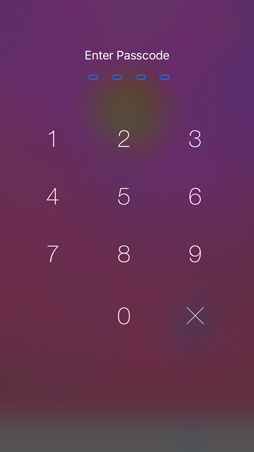 You can then deactivate the protection if you want to use the device and make the notifications to stop showing up. How and when does the kid win rewards? To get a reward, the kid must click on the “Stop” button when the pop-up alerts start. By doing this, the child opens the Kid Crono app. If your child opens the app too late, he/she will actually lose the current rewards to discourage him/her from cheating. The number of rewards a child can get depends on the playing habits. The app tracks the play frequency (e.g. how much does he/she play per day) and total playtime. So the kid will receive more rewards as he/she makes a safe and reasonable use of the device, and less if he/she plays everyday or plays more than usual. I have several kids. How do I manage their profiles? While you could use only one profile, it is recommended to add another profile so each kid has his/her own avatar based on the age, gender and playing habits. By doing so, the kid will feel more identified with the avatar mood which will motivate him/her further in addition to the rewards obtained by finishing on time. If a kid is using the timer and has placed it in pause, other kids can claim it with the swap button (which appears only in pause mode) after authenticating themselves with their gesture code. We assume you are referring to Playtime Kid Crono PIN code that prevents the kid from tempering with the timer, and not the iOS restriction code. If you previously configured your email address in the PIN recovery section of Kid Crono settings, you will receive over email the PIN code after 5 failed attempts. If you haven’t configured yet a recovery email, you will have to delete and reinstall the application (having previously disabled the iOS parental restrictions). Here is a quick tutorial for preventing app deletion: 5 steps to avoid deleting apps like Kid Crono. How can I disable the protection/notifications if I want to use the device? To disable the protection and prevent pop-up alerts from appearing, click on the red indicator , select the temporary deactivation option. You will be prompted for your PIN code and the protection will be suspended until you reopen the app. If the permanent protection option is not enabled, you can also click on the timer control when your kid gives you back the device. How can I tell the protection is active? You will notice the red indicator or green indicator at the bottom right of the device. If you enabled the schedules or the permanent protection option from the Settings, the pop-up notifications will always be shown and the color of the indicator informs whether the kid can play or not. If you didn’t enable the permanent mode, the protection is enabled as soon as you start the timer. How does my kid know it’s time to play? If you have agreed with your kid playtime schedules, you have to configure them in the Settings/Schedules section. The protection indicator will appear in green when it is time to play. The kid will then be able to start the timer without your intervention. If the indicator is red , this means there is no predefined schedule for the current time and the timer can only be initiated by you with your PIN code. My kid deleted the app! The notifications to stop playing don’t show up? This is because you didn’t enable the notifications for Kid Crono as explained in the tutorial (setup the notifications ). After setting up the notifications from the iOS settings, start the timer, close Kid Crono and let your kid use his/her preferred apps. When the playtime has expired, the alerts will appear to remind him/her to stop playing. After clicking on Finish the child will receive a reward. It is convenient to teach your kid to give you back the device once the playtime ends. The protection will remain active until you disable it. Kid Crono doesn’t block or close the other apps on iOS. Which means your kid can still use the device despite the repetitive alerts that will disturb him. If you have properly setup the notifications, the end of playtime reminders will be shown during 5 minutes (you can modify this time from the app settings). 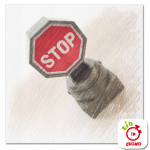 Kid Crono helps you set playtime limits to drive safer habits for your kid. ¿Did you configure the alert notifications? That said, it is important to understand the spirit of Kid Crono. It is not a traditional app to restrict or block the use of the device. As demonstrated by numerous paediatric studies, abruptly disabling the device leads to higher levels of frustration. This is why Kid Crono is primarily a tool to help the kid appreciating how much time is spent in front of the device; then the use of the avatar and rewards gradually motivate him towards self-control habits. If the kid doesn’t respect the playtime agreed with the parents, he will never gain any rewards. If he doesn’t (which you can tell by looking at his profile on the app), then he probably doesn’t deserve to use a device alone. Since Kid Crono has been launched, the app has been granting over 100.000 coins and cups showing that when the children buy into the app spirit, they quickly play by the rule and progressively move into a more healthy use of their device. What are the differences with iOS10? With the latest iOS10 release, Apple has substantially changed the way notifications work. The notion of captive pop-up (aka alert) has been removed in favor of banners appearing permanently at the top of the screen until the user interacts with it. Effectively Apple took away from developers the ability to interact with end-users in a prominent way through in-screen alerts. This means the kid will be able to keep playing more easily, even though it won’t be with total liberty. Kid Crono will keep evolving and improving the efficiency of the notifications as Apple releases new capabilities to developers. Note that the reward mechanism is not affected, so all the kids who bought into the motivational spirit of Kid Crono should keep playing safely and wisely.